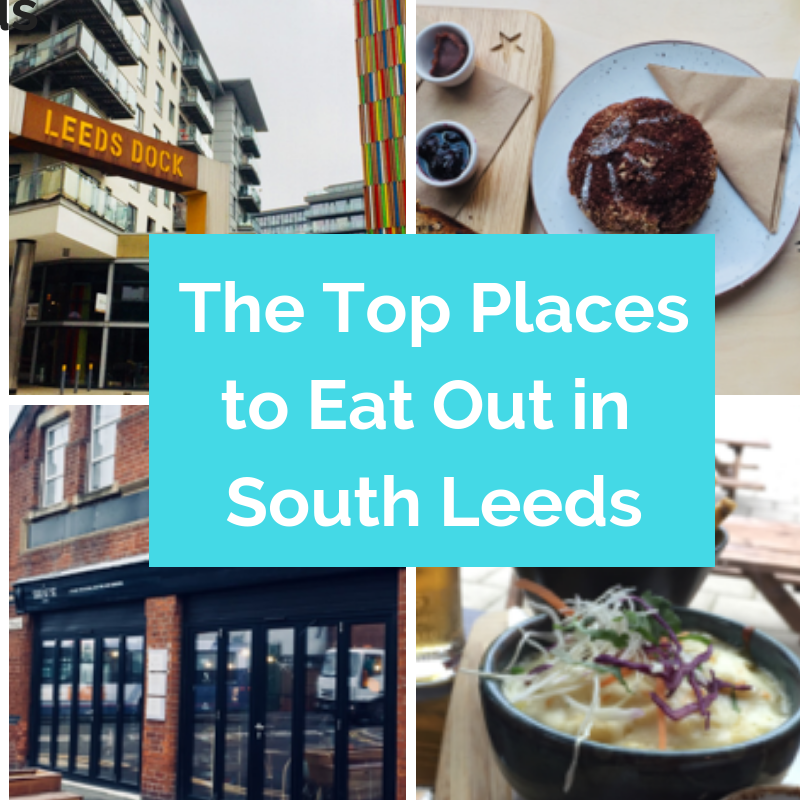 Where is there to Eat Out in South Leeds? 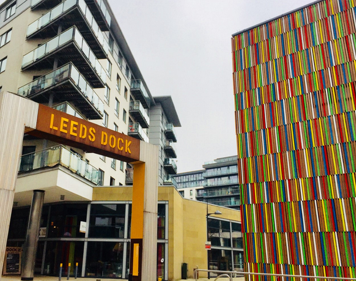 Here at Maple Homes, we love Leeds – it’s one of the best cities nationally for shopping, boasts an eclectic independent music and art scene and there’s an abundance of choice when it comes to eating out. Our Woodhouse Vale Site is just a mile South East of Leeds, so when you buy one of our homes you’ll get all the benefits of living near the thriving city centre, without the cost and limited space that comes with that. 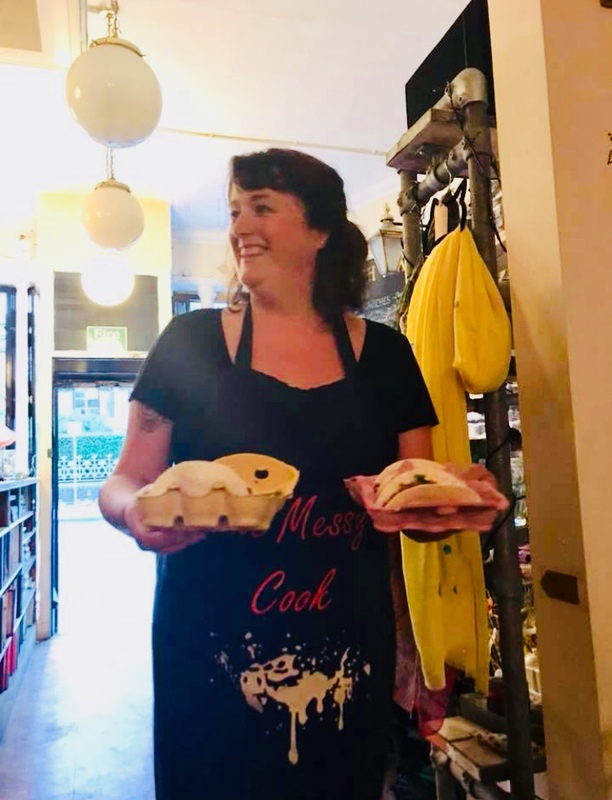 To find out more, we’ve asked guest blogger The Messy Cook to give us her recommendations for the best places to Eat Out in South Leeds. As you’ll see, she’s picked out lots of places close to our homes in Hunslet. Leeds’ South Bank area has changed massively over the past two decades, and continues to do. The opening of The Royal Armouries in 1996 was the start of regeneration in the area, and a lot has happened since then. 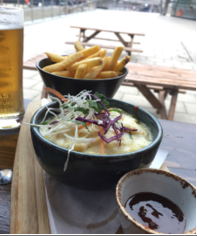 Here’s my pick of the best places to Eat Out South of the River Aire. Dock 29 is a unique waterfront venue boasting of an impressive dietary-inclusive, all day menu and an impressive hanging aeroplanes ceiling display! I’ve visited numerous times now and can confirm their Sunday roasts are fantastic value at just £11.50, their Brownies as delicious as Brownies should be, and as for their ‘Pimped Up Mac & Cheese’ side dish (including Cheddar, Brie & Swiss Cheeses), you need to taste it to believe it – it’s so good. There’s always something going on down at Dock 29, from quiz nights, dancing classes and the obligatory happy hour. 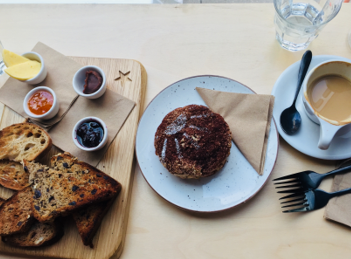 Across the other way, you will find another one of my favourite venues, North Star Coffee, an independent coffee roasters working with ethically sourced ingredients from suppliers all over the world. As well as serving excellent coffee, they have an in-house bakery and freshly-made baked products on a daily basis. Their baked products are that good two of them have been trademarked! My top tip is the ‘Morning Cake’: a vanilla infused, sour cream batter, layered with Tonka Beans, and topped with a spiced almond streusel. The perfect partner to a flat white! Watch out for pop-ups and supper clubs at the venue. 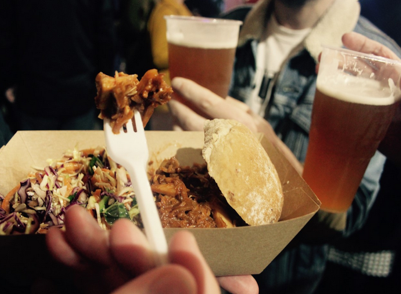 They hosted a ‘Dessert Dine Out’ as part of the annual Leeds Indie Food Festival in May 2018. I was invited along to review the evening for Leeds Living. Events are in abundance down at the Dock all year round. The start of this month saw the city’s annual Light Night taking over the area, whilst June welcomes the annual two day Waterfront Festival. 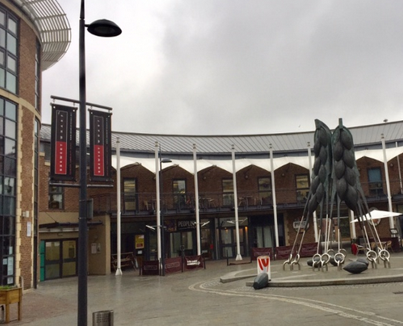 Although a good walk from the city centre, an abundance of parking is available at the docks. Alternatively, from Granary Wharf, at the back of Leeds train station, you can jump on the free yellow water taxi which runs every ten minutes or so. Still in South Leeds and a short stroll from Leeds Dock is Brewery Wharf. There are numerous places Eat Out here too: from tasty hot lunches at Cafe Yum Yum, to after work or weekend drinks at The 212 or Oracle bars. Around the corner from the Wharf down the cobbled Dock Street, is quirky hidden gem bistro Cha Lounge. As well as serving breakfast and lunch all day, they host Friday Curry and Jazz nights and have an ever-changing evening tapas menu. 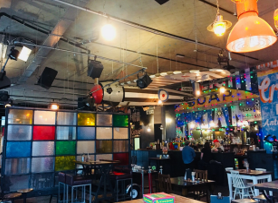 Nestled in between Leeds Dock and Brewery Wharf, a former industrial warehouse has been turned into possibly the coolest place to Eat Out in South Leeds: The Grub & Grog Shop. Specialising in vegetarian food, there’s fresh, local produce every day for breakfast and lunch. Their savoury tarts are delicious and so are their home-baked cakes. There’s also an extensive range of beers, lagers and IPAs on offer. Sheaf St., where Grub and Grog is based, also hosts many events during the year, including kitchen takeovers, big club nights, international football matches, film screenings more. Once a working Brewery, The Tetley is a contemporary art gallery complex with regular exhibitions, bar and dining area. Regular family oriented workshops are also held here, and there is ample parking available at the venue. You might not expect to find such a good restaurant at an art gallery – but Tetley’s menu is always impressive. There’s a wide range to choose from: breakfast, sandwiches, light bites and full meals and once you’ve tried one you’ll want to come back for more. Their Sunday roasts are also known to provide one of the best places to Eat Out in Leeds. Down at Printworks Kitchen & Bar on Hunslet Road, catering students at Leeds City College, serve up their culinary creations to members of the public. As part of their practical assessments, lunches and theme nights are held throughout the year. So you’re not only getting a treat for your tummy, you’re supporting young people in Leeds too. Leeds independent food and drink scene is ever-changing. As a diversity melting pot, the city certainly is an exciting place to be right now. 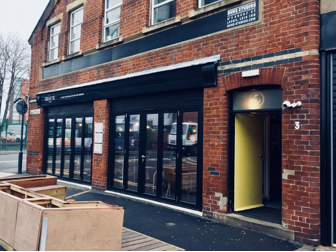 Literally as I finished writing this article, a new place to Eat Out in South Leeds appeared: The Foundry is a rustic warehouse in Holbeck and has been transformed back to its original features. Masterchef professional’s runner up Matt Healey is serving unconventionally British, fine-dining, in a laid back atmosphere. I’m looking forward to trying this one. Another example of the regeneration of the South Bank!